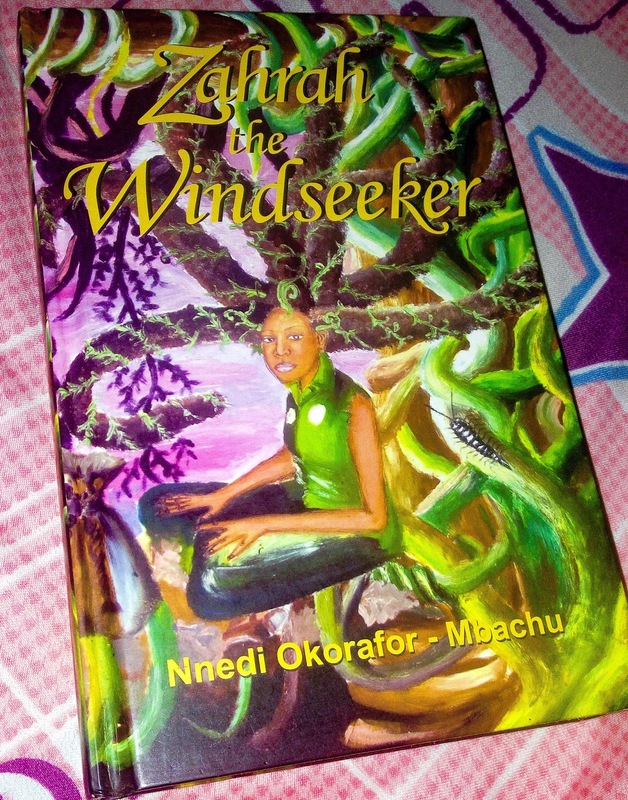 I honestly wasn't going to pick out this book, I already had something else to read in mind but I found myself reaching out for Zahrah the Windseeker and the first pages gave me good shivers. Two days earlier, I had told my sister how I wanted to go on dreadlocks and she had forbidden it😒😒😒, she had threatened to report me to my mum and cut it off while I was asleep😢😢😢 (my sister is a Delilah😂😂😂). I am low key obsessed about dreadlocks which is why I always make familiar hairstyles. In fact the reason why I transitioned to natural hair four years ago was because I wanted to “lock” my hair but when you have a mother like mine, you can't act like an ogbanje without permission😂😂😂😂😂😂. So I'm writing a speech in my head, something that would convince and not confuse her😂😂😂😂😂. So imagine the blissful surprise I got when the major character in this book is dada. It is a good omen and I think the gods want this, this is destiny but I'm not sure about being a Windseeker😝😝😝. Zahrah is a little girl of 13yrs born with dada. She is teased at school and called all sorts of mean name because people think dada born are witches, rebellious, and troublemakers with bad luck. Zahra discovers she has magical powers, she can fly but then she can't let anyone know because everyone would be freaked out so she tells only her best friend Dari who's excited and encourages her to practice. They venture into the forbidden Greeny Jungle because she needs privacy to practice and one day while in the jungle, Dari is bitten by a war snake. He's left in a coma and he has just four weeks to live. The only cure for the venom of a war snake is in the yolk of an unfertilized Elgort egg. Elgorts are one of the most dangerous animals in the jungle, no one survives an encounter with them. Zahrah decides to journey into the forbidden Greeny jungle in order to save her best friend. The book is mostly about her experiences in the forbidden jungle. This book is categorized as children fiction, the language is very simple, the plot is easy to follow and it would serve as a great adventure book for your young ones. It doesn't mean adults can't read it though. 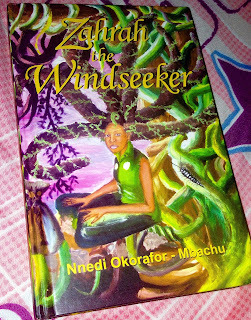 The author uses magical realism to create a “wakanda” kind of world. The characters are from planet Ginen and they think the planet Earth doesn't exist😂😂😂😂😂. It's an absolute delight to have a story that talks about brown girls with afro hair and dada, it's just something an African child can relate to and the concept of the evil jungle reminds me of Nollywood movies 😂😂😂😂😂. This book gets 4 thumbs up from me👍👍👍👍.